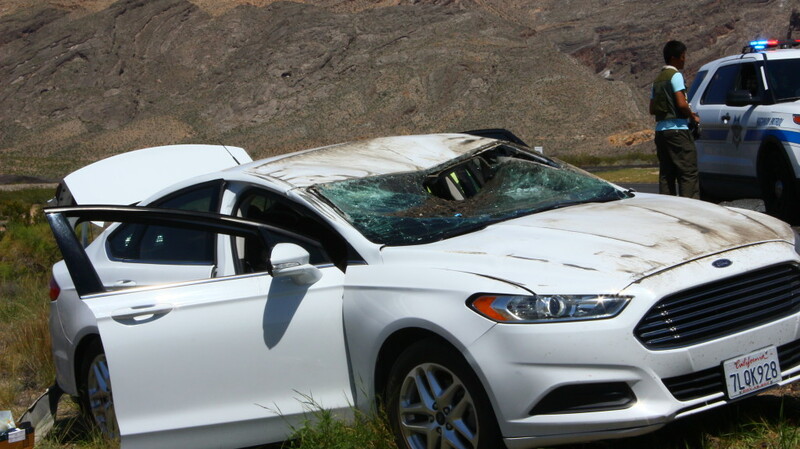 LITTLEFIELD, Ariz. — A single vehicle rollover on the southbound lane of Interstate 15 about 4 miles east of Littlefield, Arizona, caused substantial damage to a Ford Fusion Wednesday. 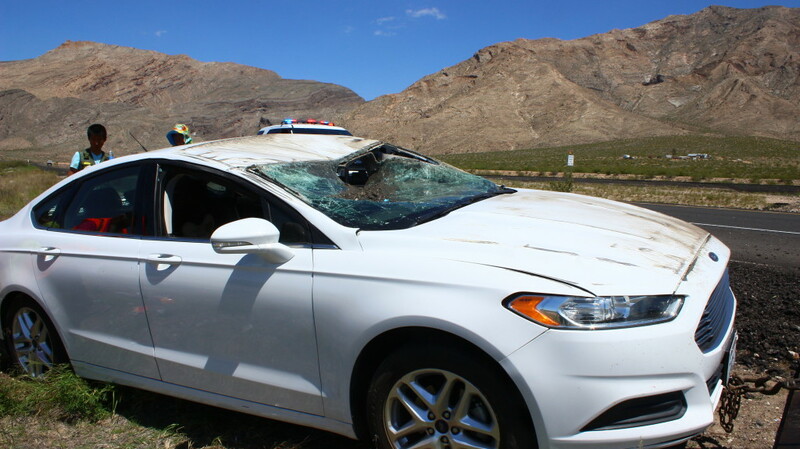 Around 2 p.m. MST, 3 p.m. MDT, emergency responders received reports of a rollover near mile marker 12 in Arizona involving a Ford passenger car. When they arrived, emergency personnel found the white Ford Fusion on the right side of the Interstate, Arizona Department of Public Safety Sgt. John Bottoms said. The Ford was driven by an adult man and had another adult man and an adult woman as passengers. “He said he drifted off the left side of the roadway, and when his tires left the edge of the roadway, he jerked the wheel too hard to get back on the highway, which caused him to lose control, start to skid, and the car rolled over one time,” Bottoms said. 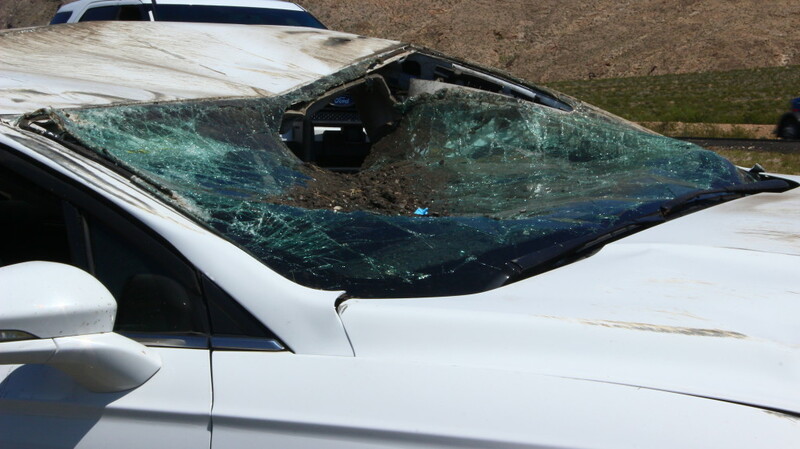 All three occupants of the vehicle were wearing seat belts at the time and airbags were deployed. The occupants sustained minor lacerations from broken glass, but refused transport by medical personnel. There were no other factors in the crash, Bottoms said, adding that he estimated the driver of the Ford was most likely traveling below the posted speed limit when the incident occurred. “Speed was definitely not an issue in this case,” he said. Arizona DPS and the Beaver Dam/Littlefield Fire Department responded to the incident.